Large shot glass sized with rolled lip. Each cup weighs 25 grams. Total set weight in case 120 grams. 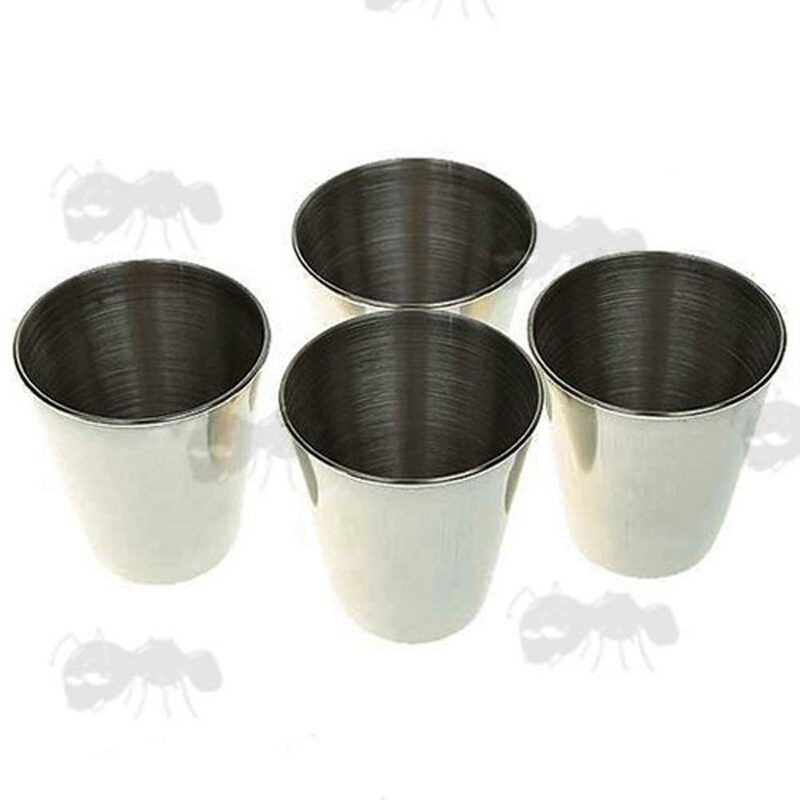 Four stainless steel cups, housed in a black leather effect case with zip fastener. 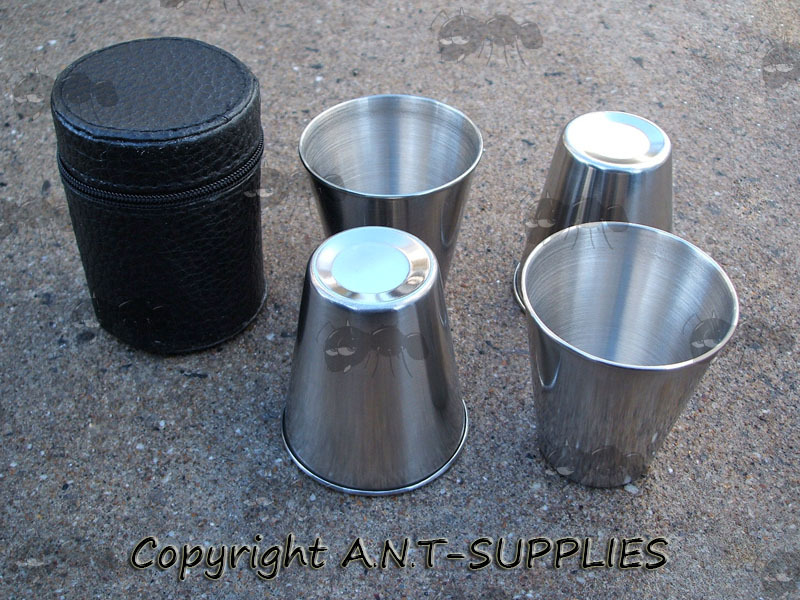 Also available ~ Hip flasks.